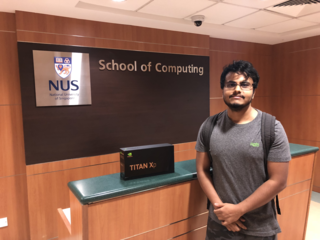 1 March 2018: Our group has received an Nvidia Titan Xp GPU from Nvidia Corporation under their Hardware Grant. 6 December 2017: Roger Zimmermann won the IEEE Communications Society (IEEE ComSoc) Multimedia Communications Technical Committee (MMTC) Best Editor Award. 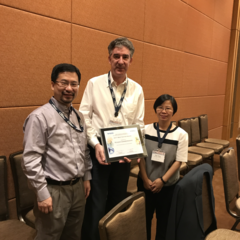 The award was presented at the 2017 IEEE Global Communications Conference (GLOBECOM), held in Singapore from 4 to 8 December 2017. More information can be found here. 30 August 2017: Roger Zimmermann will be presenting the group's research work at the 15th International Conference On Smart Homes and Health Telematics (ICOST 2017), Paris, France, 29–31 August 2017. The talk is entitled "Machine Learning for Image Processing in Healthcare." 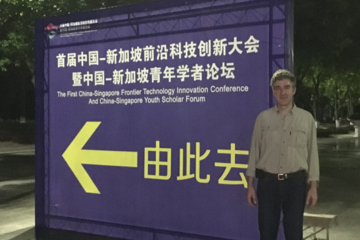 13 July 2017: Roger Zimmermann will be presenting the group's research work at Hefei University of Technology, with a seminar talk entitled "Dynamic Adaptive Streaming over HTTP (DASH) with Software Defined Networking (SDN)."